I accidentally deleted a video file from my computer that I recorded with my Logitech webcam pro 9000. I want to get the file back. Is there any good software that can do that? I have no idea how to do it, any advice? Many of us have had similar experiences just like the above case. Webcam video files get lost due to accidental deletion, hard drive formatting, hard drive partition crash, virus attacks and so on. 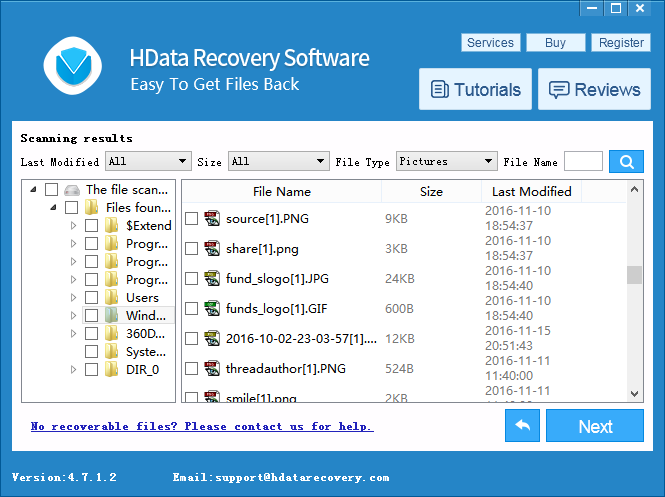 We are going to explain in details how to recover deleted webcam video files with a piece of powerful video recovery software – H Data Recovery Software. It is a professional data recovery tool trusted worldwide by millions of users. With its 6 unique data recovery modules, you can easily recover your files from almost every data loss situations, even if you don’t know too much about computer and data science! H Data Recovery Software works effectively on webcam video recovery, as well as Digital camera video, surveillanceCCTV cameras, car camera, portable recorder like DV camera, HD DVR camera, IP cameras and so on. Most digital cameras use various digital memory cards as their storage media. There are many types of memory card, such as CompactFlash (CF) Memory Cards, SD (Secure Digital) Memory Cards and Memory Stick Duo Memory Cards, etc. A digital camera memory card is an electronic flash memory data storage device used for storing digital contents such as photos and videos that you capture with your camera. 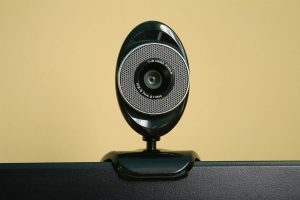 Some webcams directly store the recorded videos on your computer local drives. Before we start the recovery, let’s prepare everything that is needed. If the captured videos are stored in flash memory cards mentioned above, prepare a card reader and a working computer. 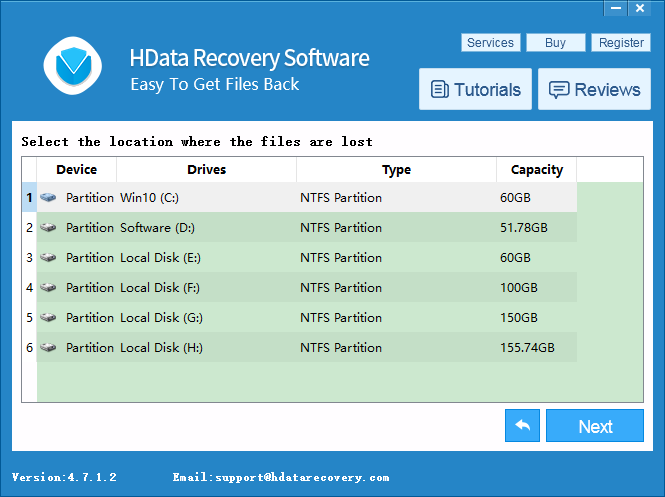 Free download the H Data Recovery Software and install it on a drive or partition other than the one where the lost videos were stored. Step 1. 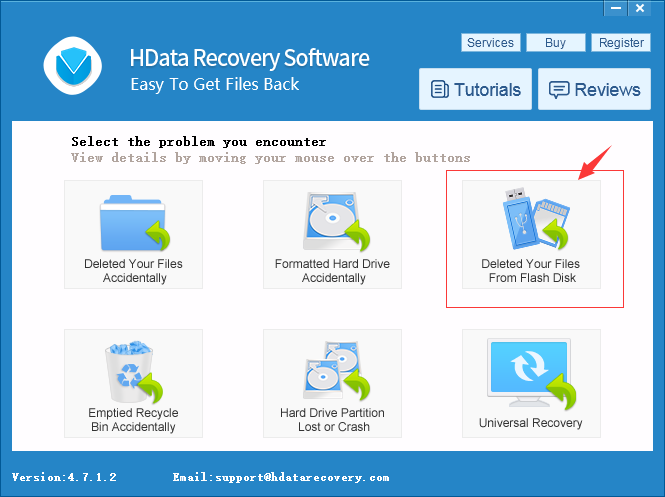 Launch H Data Recovery Software. Plug your card reader into your computer. Select the Flash Memory Recovery module by clicking it. H Data will detect all the flash memory cards currently connected to this computer. Choose your camera SD card and click Next. Step 2. If your videos are stored directly on your local drive, select “Deleted Your Files Accidentally” module by clicking it. Select the drive/partition where the videos are used to be and click “Next” to continue. Step 3. Either way, H Data Recovery will scan the file structure and try to find and reconstitute the deleted files. When the scan is complete, you will be able to see the list of all recoverable files. If you act quick enough after the data loss, the chance of a complete recovery is very high. Look for your lost photos in respective folders such as the DCIM folder. You can also use the search bar to search by file names or filter file types to quickly locate the files you want to recover. Step 4. Select all the videos you want to restore, and click the “Next” button. Choose a place you want to restore the files to. It’s best not to save them back to the memory card to avoid overwriting.